Lonsdale Square is a traditional London square in Barnsbury, Islington, North London, England. 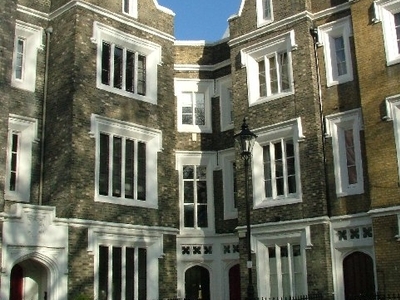 The square consists of tall brick town houses with distinctive steep gables, mullioned windows in white, arched front doors, and black railings. There is a garden in the centre of the square for use by residents. The square was built between about 1838 and 1845, and was designed in Gothic Revival style by R. C. Carpenter. The square was built at the same time as the public house at the north end, currently called The Drapers Arms, which is known for gastropub-style food. The leading conductor Simon Rattle has a residence here. It is also favoured by lawyers, with houses costing around £2 million. The author Salman Rushdie had a basement apartment in the square, as reported in his memoir Joseph Anton: A Memoir. There is a residents' association, the Lonsdale Square Society, located at No. 22. The nearest tube stations are Highbury & Islington to the north-east and Angel to the south-east. The postcode is N1. 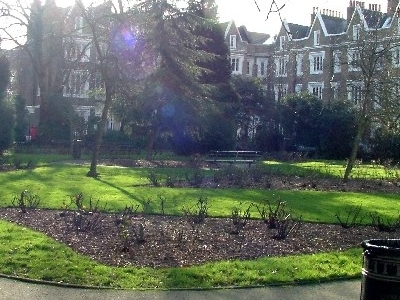 Here's the our members favorite photos of "Plazas and Squares near London Borough of Islington". Upload your photo of Lonsdale Square!